When you’re facing a large amount of debt, it’s hard to know where to start. Which debts do you pay off first? There are two main schools of thought on this, each advocating a different method of replaying debt. The first is the debt avalanche plan. With this plan, you pay off the most costly debt first. This means tackling high-interest credit cards before low-APR loans, regardless of the amount you owe. You can save a lot of money in the long run by sticking to this plan. The other option is the debt snowball plan. With this plan, you start off by paying the smallest debt first. Once you’ve cleared that balance, you move on to the second-smallest debt. The idea is to get some momentum before you tackle the more substantial debts. It’s much more satisfying to clear a small debt completely, than to take a small chunk out of a large debt. It will give you the motivation you need to keep going. This depends entirely on you and your ability to motivate yourself. The debt avalanche plan is more cost effective, which means that you can clear your debt sooner. 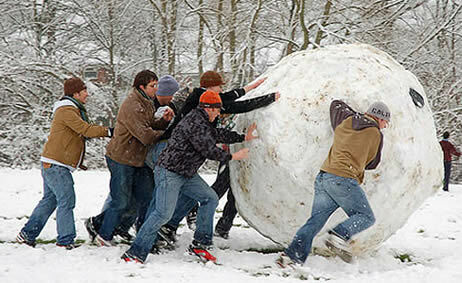 The debt snowball plan gives you instant results, and, thus, it’s easier to stick to. Whichever plan you choose, make sure that you continue to make the minimum monthly payments on all of your debts. Otherwise, you may damage your credit score, resulting in less favourable lending terms, including on existing debt. Debt repayment can be complicated. Most people are not financial experts, which is why it makes sense to talk to someone who is. A debt counselor can advise you about your options, from bill consolidation to debt settlement. Best of all, the advice is free. Simply fill in the from above, and we’ll take it from there. Like many Americans, Eric unexpectedly found himself with $50,000 of credit card debt. Eric used to be the owner of his own carpet-fitting business. When the housing market dried up, so did his work. Eric had to take a job at the local hardware store. His new salary was half of what he used to make. Pretty soon, he couldn’t keep up with his monthly payments. He had to take out new credit cards to pay off the old ones. His debt grew. Eric did not know what to do, so he sought advice from a debt counselling service. After talking to a qualified advisor, Eric decided to take out a debt consolidation loan of $50,000. He used the money to pay off all of his costly credit cards, saving thousands of dollars in interest fees. All he had to do now was make a single monthly payment, much lower than what he was paying before. Within seven years, Eric not only cleared his debt, but he had saved up enough money to put a down payment on a house.